Kanyakumari District is situated in the southern most part of Indian subcontinent. It is bounded by a coastal line of 72 km . The district has 42 fishing villages along the coastline and fishing is their main occupation. The fishing population of the district is 143388 with 73471 men and 69917 women. 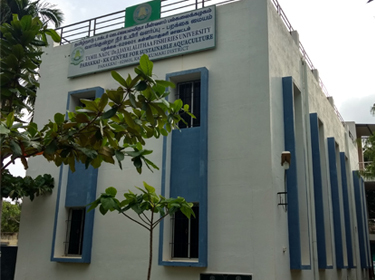 The Centre was established initially as Veterinary University Training and Research Centre (Fisheries) (VUTRC(F)) at Parakkai, Kanyakumari District under Tamil Nadu Veterinary and Animal Sciences University during 2002. Later it was renamed as Fisheries Training Research Centre, Parakkai when it was transferred to Tamil Nadu Fisheries University during 2013. In 2017, the FTRC, Parakkai was attached with Directorate of Centres for Sustainable Aquaculture as one of the production units of DCeSA and renamed as Kanyakuamri Parakkai Centre for Sustainable Aquaculture (KKPCeSA). The Centre was established to uplift the socio-economic status of farmers and fishing community in Kanyakumari District and disseminate the latest technologies in inland fish farming and marine fisheries to the stakeholders. The centre caters to the needs of not only Kanyakumari district but also the adjoining districts like Tirunelveli and Thoothukkudi. To undertake research programmes in aquaculture relevant to the District. To conduct training programmes in aquaculture, ornamental fish culture and fish processing to the fisherfolk and entrepreneurs of Kanyakumari District. To offer guidance to the fishery entrepreneurs in aquaculture. To work in coordination with the State Fisheries Department for the benefit of the stakeholders in fisheries in the district. To disseminate the technology through exhibitions and distribution of pamphlets on fisheries technologies. Demonstration and Training for Farmer’s Capacity Building at Regional Outstations of CeSA in TNFU. Empowerment of SC & ST Population of Kanyakumari Dt. The Centre is located at Parakkai village on the Nagercoil – Manakudi road in 0.38 acres of land. The Centre has one building of 3000 ft, 2 housing ,one training hall with 40 numbers capacity and another training hall with 100 numbers capacity, office room and exhibition hall. Fish processing Hall, 2 numbers of ornamental fish culture units, ornamental fish breeding unit, live feed culture unit, glass aquarium unit, carp hatchery, Rearing and breeding tanks for carps and ornamental fishes, loach breeding unit, loach culture tank and water aeration and recirculatory system. Culture of loach was undertaken in a small lined earthen pond and found successful for propagation. Breeding of loach in an artificially simulated system was tried and found successful. Polyculture of loach with carps was attempted and found to be viable. Establishment of live feed culture unit. Cheryl Antony, S.Felix and K.Ravaneswaran, Studies on the Milt quality of common carp and koi carp , International journal of Fisheries and Aquatic Studies, Vol II(2),30-32, 2014. K. Ravaneswaran, R. Senthilathiban, S.Judith Betsy, Backyard farming of ornamental fishes, Meenvalasudar, Sippi 4, Mutthu 3, 28-31, July-September, 2016. K. Ravaneswaran, D. Sugumar and .S.A.D. Angela, Ornamental fish parasites and its treatment, Meenvalasudar Sippi 4, Muthu 2, April-June, 31-33, 2016. S.A.D. Angela, K. Ravaneswaran and D. Vijay Anand, Shrimp farming by using bioflock technology, Meenvalasudar , Sippi 4, Muthu 2, April-June, 36-38, 2016. 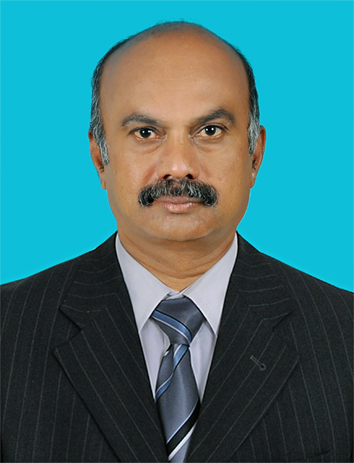 K. Ravaneswaran, S.A.D. Angela and S. Felix, Fish culture in short duration, Meenvalasudar , Sippi 3, Muthu 3, July-September, 33-34, 2015. K. Ravaneswaran, Cheril Antony, S. Felix and A.S. Angela, Freshwater prawn farming, Meenvalasudar , Sippi 3, Muthu 1, January-March, 2015. K. Ravaneswaran and Cheril Antony, S. Felix and S.A.D. Angela, Pangasius Cat fish farming, Meenvalasudar , Sippi 3, Muthu 2.April-June, 5-6,2015. K. Ravaneswaran, S. Felix, S. Aruna and A.J. Prabhu, Breeding behaviour and life span of ornamental fishes, Meenvalasudar Sippi 2, Muthu 4, October-December, 22-23, 2014. S. Aruna ,A. Gopalakannan, K. Ravaneswaran and S. Felix, Controlling methods for anchor worms in fish culture, Meenvalasudar Sippi 2, Muthu 4, October-December, 24-25, 2014. K. Ravaneswaran, Cheryl Antony, S. Felix and S. Aruna, Biology of Gift Tilapia, Meenvalasudar Sippi 2, Muthu 2, April-June, 24-25, 2014. K. Ravaneswaran, Cheryl Antony, S. Felix and S. Balasundarai, Gift Tilapia culture in constructed pond, Meenvalasudar Sippi 2, Muthu 2, April-June, 26-28, 2014. K. Ravaneswaran, Cheryl Antony, D. Manikandavelu and S. Felix, Breeding of loach fishes, Meenvalasudar Sippi 2, Muthu 3, July-September, 14-16, 2014. K. Ravaneswaran, Cheryl Antony, S. Felix and A. Gopalakannan, Breeding of egg laying ornamental fishes, Meenvalasudar Sippi 2, Muthu 3, July-September, 17-19, 2014. K. Ravaneswaran, S. Aruna and S. Felix, Breeding of live bearing ornamental fishes, Meenvalasudar Sippi 2, Muthu 3, July-September, 20-22, 2014.